Algae Farming In The Face Of The Oil Price Situation - Still a Viable Alternative Fuel Source? 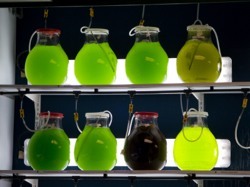 Algae Farming In The Face Of The Oil Price Situation – Still a Viable Alternative Fuel Source? Algae farming is a relatively safe bet in the current financial climate. Algae, a sludge colored illuminatingly lime to moss green, has going for it that it can be made anywhere –even in desert climates- and that it can be relatively swiftly adopted. A big negative is that the price of producing one gallon worth of algae based petroleum is still relatively cost inefficient compared to oil. But even at the negative end of this spectrum, there’s masses of potential. A clever way to exploit the properties of this microscopic organism is what’s being done in Kentucky at the moment. Kentucky’s Center for Applied Energy Research (CAER) is involved in a $3.5 million project using algae to clean the air of CO2 and other nasty stuff emitted in the smokestacks of coal-fired power plants. The project is as simple as it sounds; it cultivates algae to naturally soak up carbon dioxide. The algae grows at rapid speeds and at the end of the day can also be transformed into a liquid fuel. Plus algae also offers a brilliant alternative to burying the carbon dioxide underground, something that is little-tested and could prove hazardous in the long term. It’s one of the first such projects in the US. In the future, buildings in Kentucky coal-fired power plants could feature vertical columns which would facilitate the passage of flue gases through algae sludges. Many other, bigger, algae-based renewable gasoline projects are taking off which pioneer processing the gooey sludge at commercial level. Even though there is a massive difference between oil priced at $150 (as it was before the credit crisis kicked in) and the $41 level, the experts say these solutions still make sense. That’s indicative of what’s happening to our communal psyche more than anything else. The understanding that natural resources are finite plus the success of various alternative options are all making great motivating factors here. With oil prices back in safer territory, you’d expect various alternative forms of energy to be re-evaluated. But since a lot of planning goes into such projects, many of them survived the financial crisis because by the time it struck they´d already been okayed. Now it’s hoped that the future will justify the decisions. Needless to say that the projects currently underway are aiming to reduce the costs. These are estimated at around $18 to $30 per gallon. The most optimistic projection is that this can be brought down to $1 per gallon. Investors, including Bill Gates, poured $100 million into Sapphire Energy of San Diego to commercially launch algae based biofuel. The company has 80 employees. And the US Energy Department is reviving a massive project it botched in 1996 to produce algae gasoline on a large scale. The DoE abandoned the project because of the low oil price at the time, but it has recently teamed up with National Renewable Energy Laboratory and Chevron. One expert, Eric Jarvis of the National Renewable Energy Lab, says that worldwide several hundred companies are active on the algae-based petrol front. “It has the feel of a gold rush situation,” he told the Louiseville Courier Journal. There´s another dozen or so of other US based projects which are all listed in this article on CheckBioTech.org. As the projects take off a certain level of competition will ensue. It´s likely that both the price per gallon and the time frame will be major factors in this race. Some insiders say that it will take ten years before commercially viable products will hit the market. Others say this is going to materialize in as little as two years from now. The reason for this massive difference in prediction time is due to the political climate. In one year’s time that landscape will be a lot clearer. as a Malthusian Social Darwinist Weapon to Reduce Population! Today the capitalist dictatorship uses the latest science and technology not as a means to increase the standard of living and improve the welfare of the masses, but invariably as weapons directed against the masses to try to control the masses and reduce their number wherever and whenever possible as part of a program of applied Social Darwinist Population Reduction, while simultaneously mounting Big Lie campaigns falsely claiming the precise opposite. Bio-fuels is nothing but a scheme to help bring a large number of poor people to an early death by creating mass starvation in Africa and Asia, primarily inhabited by People of Color, by diverting grain from food production to fuel production under the ridiculous Big Lie slogans of “energy independence,” “going green,” “clean energy” and “solving the energy crisis!” The Oil Industry fully supports Bio-fuels because the Oil capitalists know that Bio-fuels do not challenge the burning of fossil fuels because Bio-Fuels are much more costly and inefficient to produce and will never supersede fossil fuels. Only a Socialist Revolution in the United States will end the use of fossil fuels, solve the energy problem and reverse the Runaway Greenhouse Effect, which has already begun. Today’s Coal and Oil Was Yesterday’s Biomass! It should be noted that both Barack Obama and Hillary Clinton both advocate the burning of bio-fuels!! And so does Al Gore! It is a fact that today’s coal and oil was yesterday’s biomass. Evolution of life is the only thing which prevented the Runaway Greenhouse Effect from occurring on the Earth, like it did on Venus, as carbon from volcanoes entered the Earth’s atmosphere from volcanoes, where it was diverted into plant and animal life. The burning of bio-fuels and biomass rather than allowing it to be naturally deposited into the crust of the Earth, releases all that carbon directly into the atmosphere! Those who advocate burning of bio-fuels could be expected to say and are saying in effect: Let’s set fire to more rain forests; “Burn Baby Burn!” Let’s solve the global warming by setting more wildfires to “get green” and become “energy independent!” All presidential candidates advocated expanded use of bio-fuels! Richard Branson of Virgin Atlantic trumpets that he’s “going green” and burning bio-fuel in his jumbo jets like there is no tomorrow! Totally disgusting! The burning of “bio-fuel” is one more demonstration that capitalism has a one-way dynamic based on war, mass murder and crime to increase private profits. In this instance the effect of starvation fits in perfectly with that one-way dynamic and by providing the capitalists’ with a weapon to achieve their objective of population reduction of Blacks and other People of Color, all the while generating profits for farmers as the driving force for manufacturing the bio-fuels which cost ridiculously more to produce than oil-based fuels. The political objective is driven by supposed economic benefits for this tiny group of farmers! The capitalists’ present objective is to use the what they hope will be the increased credibility of an Obama Presidency to ram through the most oppressive measures possible against the masses domestically and of course to continue the “War on Terror,” the pretext for the final stage of capitalism-imperialism: Permanent War and State Terrorism. State Terrorism includes the use of Bio-fuels. Obama, and all political candidates, have supported paying huge Bio-fuel subsidies (MONEY!!) to farmers to sell their grain to be burned as fuel rather than to be eaten as food, under the phony pretext of “energy independence.” But Biofuels is a scheme (not a scam as termed by Time magazine, May 20, 2008) to create worldwide mass starvation in developing and poor countries of Africa and Asia through food inflation. It does not matter whether corn or switch grass or any other special genetically-engineered plant is used for fuel because 1.) whatever is planted for fuel decreases the acreage planted for food for humans and animals. 2.) Whatever is burned increases the C02 level in the atmosphere. There are no exceptions! Even used cooking oils or other forms of biomass must not be burned as fuel because burning of any fuels increases atmospheric CO2! Today’s coal and oil were yesterday’s biomass. (See below.) Yesterday’s biomass is what is being put into the atmosphere today by the burning of fossil fuels!! Nothing at all must be burned as fuel! Energy production must not be equated with fuel and burning!! Obama has been backed for years by a huge Bio-fuel industry in Illinois and thus already qualifies as a mass murderer! This should be a no-brainer! But it is not because the capitalist dictatorship is simply using the Big Lie technique and ramming Biofuels down the throat of the masses. The capitalists’ media, a privatized arm of the U.S. “intelligence community,” runs hour long shows on Public Television” such as NOVA and Frontline, etc and also on the phony “history channel” hyping Bio-fuels with the huge lies of omission of the actual objective of Bio-fuels to be used as a weapon of mass starvation and population reduction. The false official “opposition” hardly raises a peep! The answer to energy independence is Tidal Power not burning of any kind of fuel! Of Lawrence Berkeley, to ram Biofuels down the throat of the masses! It is not only the youth, but all those who see no future in the present course, who recognize at some level that capitalism offers a world with no future and who actually do want a new system based on human need, who in their desperation, frustration and anger end up getting sucked in and voting for these capitalist demagogues because there seems to be no other choice. The masses are presented with seemingly no alternative but to participate in the sham, staged U.S. presidential elections where the outcome has largely been decided in advance and has been ever since Watergate. The only question ever discussed, no matter which issue is discussed or debated, is how best to preserve capitalism-imperialism, as if capitalism, which is fundamentally based on war, mass murder and crime to steal new resources and new markets in order to increase private profit, and which now threatens the existence of all life on Earth, is the only possible economic-political-social system! Most people think that it is the only game in town. Not true, as we shall see! Greenhouse Effect Has Already Begun! The Runaway Greenhouse Effect has already begun! This is not a joke and is not something which might occur in the distant future. It is no longer simply a matter of Global Warming or euphemistically described “climate change” that we have to contend with, but the beginning of the Runaway Greenhouse Effect. Professional climatologists risk losing their jobs if they reveal the rapidly approaching reality. The vast majority of them must lie to keep their jobs! Nevertheless, according to the latest published results in the October 11, 2004 British Guardian, which were just blipped in the media, for the last 3 years prior to that date the CO2 level for the first time began to rise in an accelerated fashion indicating that a Runaway Greenhouse Effect has already begun. Ethical and Honest (bucking the trend!) scientists, at Hawaii’s Mauna Loa Observatory reported that average CO2 levels increased by 2.08 ppm in 2002, to 373.1 ppm, and by 2.54 ppm in 2003, to an average of 375.64 ppm. This is the first recorded example of the average CO2 level jumping more than 2 ppm in two consecutive years. See: British Guardian, Oct 11, 2004. It became three consecutive years in 2005 when the Associated Press reported on March 20th that scientists at Mauna Loa Observatory had recorded the atmospheric CO2 level peaked at a record of 379 ppm! The apparent significance of this newly observed increase in atmospheric CO2 levels is that the CO2 reservoirs, namely the rain forests and oceans, are now exhausted and from this point on the atmospheric CO2 level will start to increase in an exponential fashion. Imperialism, which is Based Only on Private Profit and is Fundamentally Irresponsible! U.S.-led world capitalism-imperialism is controlled by the oil industry and the military industrial complex and cannot reform itself. While falsely claiming to be in favor of alternative energy, for example the Bush Regime cut money for alternative energy in 2005 by 50%! A real solution, which cannot take place under capitalism, and can only take place under a new system based on human need not private profit—after a Socialist Revolution in the United States—would include: 1.) Beginning to introduce realistic large-scale alternative energy sources like Tidal Power and certain large hydroelectric sources such as the world’s largest waterfalls. This can and must be done on a large scale to the degree where fossil fuels no longer supply the majority of the power for residential and business needs and the world’s dependency on fossil fuels actually ends and 2.) Ending completely the deforestation and destruction of the rainforests which trap much of the Earth’s CO2 in vegetation and planting new forests. Although China, under pressure to compete with the capitalist countries, has added substantially to global air pollution and the Runaway Greenhouse Effect, due to its burning of coal for power, is making every effort to switch to clean energy technologies such as hydroelectric power with the Three Gorges Dam and Tidal Power. But China, a Workers’ State, based on human need not private profit, despite doing business with the capitalists on a massive scale, a policy which Lenin himself recommended, has surprisingly led the world and reversed Asia’s net loss of 3000 square miles a year of forests from the 1990’s to a net gain of 4000 square miles since 2000. It should be noted that the same “human factors which have caused desertification in China” are also responsible for perhaps the greatest pollution problem on the planet in their cities due to burning of coal and oil, a practice which was implemented in order to beat the capitalists at their own game economically, but which now must be stopped and was stopped in Beijing for the Olympics, because the air is normally totally unfit to breath and almost caused cancellation of the Olympics until China shut down almost all manufacturing in Beijing for the duration of the Olympics and Special Olympics. China’s yearly loss of 950 sq. miles to the Gobi desert is to be stopped by the “Green Great Wall”- a 2,800-mile network of forest belts designed “terminate expansion of new desertification caused by human factors” within a decade as reported to the United Nations. By 2050, China believes that much of the arid land can be restored to a productive and sustainable state. Possibly the largest proposed ecological project in history, the Great Green Wall calls for planting more than 9 million acres of forest at a cost of up to $8 billion. Those interested in reversing the Runaway Greenhouse—and we must make every effort—should research the details of the Great Green Wall which are available on the Internet. But the capitalists in non-Workers States on the other hand do nothing to reverse the situation of the worldwide loss of vegetation—just the opposite! See below. This is because of the one-way internal dynamic of capitalism, which is largely independent of the wills of the individual capitalists and politicians which make it up. The Runaway Greenhouse Effect Which Has Now Begun! The most important potential alternative power is tidal power from the oceans and hydroelectric power from huge waterfalls such as the Kaieture Falls in Guyana with a total drop of 822 feet (5 times the drop of Niagara Falls) and Victoria Falls in Africa the largest waterfalls in the world. The Niagara Falls Region is the largest producer of hydroelectric power in the world. Half of the flow of the St. Lawrence River is diverted by Canada and the U.S. for hydroelectric power, to complaints from those who might prefer to see nuclear power plants (!) or no plants at all—the reactionary anti-technology movement. While there has been some hydroelectric power development of Victoria Falls by Zambia the oil industry has suppressed hydroelectric power development of Kaieture Falls. Instead of development of realistic alternative sources of energy the capitalists and their media mouthpieces are calling for more fossil fuel development, falsely equating oil with “energy,” using the two terms interchangeably and pushing nuclear power once again which permanently pollutes and poisons the environment. The so-called “environmental groups” such as the Greens, Greenpeace, Sierra Club etc., which are part of the group of government-controlled fake “opposition” single-issue groups, and also the fake “left” groups along with Al Gore, also suppress this information about Tidal Power and encourage a reformist approach of conservation of fossil fuel usage or push other alternative energy sources which are either impractical on a large scale or are calculated to fail on some other basis. Nevertheless, a few tidal power plants already exist in England, France, the former USSR and China. More must be built rapidly in all countries in the Northern and Southern Hemispheres which have tides. The Kaieture Falls alone has been estimated to be able to produce enough energy to supply all industrial and residential needs of North America and South America combined! And Victoria Falls in Africa is the largest waterfalls in the world! Kaieture Falls are completely ignored and Victoria falls are not fully utilized because of the threat to the oil industry. The capitalists cover up the potential energy of tidal power and pretend to embrace alternative energy by hyping wind power because it is much more inefficient, generates a much smaller amount of power than tidal power and thus poses no real threat to fossil fuels! For example, at this moment the capitalists are planning to install 24 square miles of huge inefficient ugly wind turbines (an area the size of Manhattan) 5 miles off the coast of Cape Cod, Massachusetts, which will generate 75% of power for those living nearby—when the wind blows, but that represents only 1% of total energy of the state of Massachusetts! In Maine wind power is also being pushed by the logging industry because it will extend existing logging roads and create new ones and industrialize the Maine Woods! Tidal power, which produces cheap, predictable energy, works 24/7, does not require nearly as many generating stations as wind power and is 3 to 4 times as efficient as nuclear power!! Wind power should only be resorted to as a last resort in areas where there are no tides. Near the equator solar power would be most appropriate. Proper use of tidal power and hydroelectric power would produce so much power that even central areas of continents could also be supplied. Isn’t it interesting that Tidal Power is never ever mentioned! The silence of the fake left and phony environmentalist groups on tidal power is deafening! For Tidal Power see: http://www.tidalelectric.com. The Sierra Club is one of several government-operated, anti-Communist single-issue environmentalist groups. 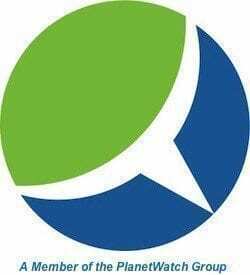 It has attracted a large membership and also sponsors hikes and activities to try to gain credibility among the masses in order to help control environmental issues for the capitalists. In its newspaper Sierra Atlantic, Vol. 33, Summer 2006, the Sierra Club, has a huge long article on Wind Power but deliberately omits any mention of Tidal Power as a much more efficient alternative energy source anywhere in the whole issue, an indefensible omission, and totally disingenuously concludes: “But simply hearing the arguments may help each of us to understand and re-examine our own prejudices (! ), enabling us to come to the most reasonable and dispassionate decision we can make, one which will have a meaningful impact on our future.” This after they omit any mention of Tidal Power! You don’t need a weatherman to know which way the wind is blowing today! To put this in perspective as to the capitalists true priorities and who is really running things, the capitalists have responded to the huge increase in oil company profits due to the recent increase in the price of oil and deliberate gauging at the pump by awarding the oil companies a huge $28 billion rip-off by suspending royalties paid to the U.S. government from oil drilled in federal territory! The Runaway Greenhouse Effect has already occurred on Venus where all the CO2 is found in the 932 degrees Fahrenheit (500 degrees Centigrade) atmosphere. The water in the oceans of Venus, which were nearly the size of the oceans on Earth, all evaporated away very early because of the heat generated by the Runaway Greenhouse Effect caused by the fact that Venus receives 30% more sunlight than the Earth. The evaporating oceans finally boiled away completely after the temperature reached a measly 212 degrees Fahrenheit—on its way to the present 932 degrees Fahrenheit. Once in the upper atmosphere ultraviolet radiation from the sun split the H20 apart into hydrogen, which disappeared into space and oxygen, which reacted with minerals on the surface and also disappeared from the atmosphere. The Evolution of Life is what prevented a Runaway Greenhouse Effect from occurring on Earth as it did on Venus! Life did not evolve on Venus, with the consequence that there was no plant and animal life to absorb the gradual build-up of CO2 from volcanoes, which eventually formed the thick atmosphere which exists on Venus today composed primarily of CO2 (96.5%) with the remainder nitrogen (3.5%) and other minor components expressed in a few parts per million plus a sulfuric acid cloud deck beginning at about 50 kilometers above the surface. On Earth the CO2 which was released into the atmosphere through volcanoes went into evolving vegetation and then animal life, which over hundreds of millions of years became deposited in the crust of the Earth as the fossil fuels coal and oil. There is no carbon found in the crust of Venus. That is how we know that life did not evolve on Venus! Today the frenzied burning of those fossil fuels here on Earth has resulted in having the huge amount of CO2 stored in them being released all at once into the atmosphere. The Earth’s carbon sinks, the Earth’s natural storage mechanisms for CO2—the rain forests other vegetation and the oceans—have a limit and are now being overwhelmed. As occurred on Venus billions of years ago, that process now appears to have reached the stage of the Runaway Greenhouse Effect here on Earth. Without a Socialist Revolution here in the United States, which is the only possible way to still reverse that process, the situation on Venus today is the future of the Earth in the not so distant future. We are presently experiencing the beginning of that future. Life on Earth will become totally unlivable far before we arrive at the situation existing on Venus today. The falsely labeled “Archaea” bacteria, tube worms, which have evolved to live at temperatures of up to 110 degrees Fahrenheit, and the hyperthermophilic bacteria, which have evolved to live at water temperatures of up to 239 degrees Fahrenheit will be the last life on Earth because of their ability to live at high temperatures.. (Incidentally, “Archaea” was falsely so-labeled in order to spread confusion in science and to try to undermine in one blow both Darwin’s Theory of Evolution and the irrefutable Primordial Soup Theory of Stanley Miller and Harold Urey of 1953, who demonstrated that the basic building blocks of life; amino acids, purines, pyrimidines and carboxylic acids can all be produced by running electrical sparks simulating lightning through the most-likely original reducing atmosphere of Earth composed of methane, ammonia, hydrogen and water vapor or steam. Later experiments by Miller demonstrated that the precise atmospheric mixture was not as important as the fact that it be a reducing atmosphere, meaning that it must contain NO oxygen, because the compounds necessary for life, namely amino acids, purines and pyrimidines and carboxylic acids (required for the synthesis of lipids) cannot be produced in an oxidizing atmosphere! In addition, it has been reported that Jeffrey L. Bada, who had been a graduate student of Stanley Miller and Adam P. Johnson a graduate student at Indiana University visiting Bada’s laboratory on an internship working with co-workers have discovered 22 amino acids in the original samples from the Stanley Miller-Urey experiments, including 10 that had not been previously reported. (The Miller Volcanic Spark Discharge Experiment, Adam P. Johnson, Daniel P. Glavin, Antonio Lazcano and Jeffrey L. Bada, Science, 17, October 2008. page 404, Vol. 322, no. 5900, DOI: 10.1126 science. 1161527). See also The New York Times, October 17, 2008. In a 1996 interview Stanley Miller also revealed that he had been able to produce pyridines and purines by creating more concentrated pre-biotic “dry beach” conditions, which would have been present in lakes lagoons and beaches on the primitive Earth. From that point everything is very clear. Self-replicating RNA molecules are well known today and have been extensively studied and described in the major media and peer review journals. And DNA clearly evolved from RNA. There is no credible dispute. Among the more recent false claims of evolution of life is the truly ridiculous claim that life supposedly “evolved at submarine vents” formed under the oceans where tectonic meet, for example the Mid-Atlantic Ridge. But it is a fact that submarine vents don’t make organic compounds, they decompose them! These vents are one of the limiting factors on what organic compounds would exist in the primitive oceans. At the present time, the entire ocean goes through those vents in 10 million years. So all of the organic compounds are destroyed every ten million years. That places a constraint on how much organic material could accumulate. In addition, it also provides a time scale for the origin of life. If all the polymers and other compounds that evolve are continuously destroyed that means life would have to start early and rapidly. Looking at the process in detail, it is clear that long periods of time would be detrimental, rather than helpful to this fraudulent, totally contrived and deliberately misleading so-called “theory” of the origin of life which was created, among other reactionary reasons (see below), in order to provide a false pretext for NASA to carry out extremely costly and entirely unnecessary and useless space ventures to outlying planetary satellites under the false pretext of “searching for life,” wherever there might be water discovered by spectral analysis for example, in order to keep their jobs and obtain continued government funding. Feedback Cycles Which Constantly Accelerate! Runaway Greenhouse Effect means just what it says! Positive Feedbacks, otherwise known as vicious circles, have already begun to kick in which constantly accelerate the Runaway Greenhouse Effect. The most important feedback in the polar region is the ice-albedo feedback or the ice-reflectivity feedback. Albedo is defined as the overall reflection coefficient of an object. Seawater has much less reflectivity (albedo) than ice. Open ocean water which is rapidly taking the place of sea ice in the polar regions, absorbs about 80% more solar radiation than sea ice which reflects the sun’s rays back into space. For example, the Polar Ice Cap has already been enormously reduced—more and more each summer leaving only 1.6 million square miles by the end of the summer of 2007. This was a huge drop from the previous low of 2.05 square miles in 2005 (New York Times, September 16, 2007). This has resulted in an increase in temperature in the arctic which is 3 times greater than anywhere else on the planet, which in turn has caused more sea ice to melt each year raising the sea level and threatening the extinction of polar bears, other species in the food chain and the entire eco system. In addition, warmer water absorbs less than half the amount of CO2 than does cold water. Carbon dioxide normally penetrates only the surface seawater (known as the mixed layer), ranging from 10 meters up to 150 meters deep, where warm layers converge in increased turbulence allowing deeper penetration and mixing of surface water. But ocean currents such as the Gulf Stream and the Japanese Current, which move from equatorial regions towards the poles where it is colder, do allow the absorbed CO2 to reach deeper layers to some degree. When CO2 mixes with water carbonic acid (H2CO3) is formed, which limits the amount of further CO2 the seawater can absorb. The ability of the water to hold CO2 thus increases by only about 1% for each 10% increase in CO2 in the atmosphere! This is known as the Revelle Buffer Factor, which can be reversed by adding calcium carbonate. But this appears to be impractical on a large scale and is approaching the problem from the wrong direction in any case. The oceans are one of the most important carbon sinks containing about 50 times more CO2 than the atmosphere and 19 times more than the land biosphere. Warming also reduces the mixing of deeper seawater and surface waters, further reducing the amount of CO2 absorbed by the oceans. In addition, global warming—now the Runaway Greenhouse Effect—interrupts the Gulf Stream and Japanese Current by melting freshwater glaciers which flow southward potentially cutting off the Gulf Stream, for example. Although this has not happened yet, the entire world including Europe is experiencing extremes of weather which characterize the beginning of the Runaway Greenhouse Effect. Freshwater remains mostly on the surface and this also reduces the mixing of surface and deeper layers. The reduced mixing of deeper seawater and surface waters, which is due to the Runaway Greenhouse Effect, also reduces the amount of phytoplankton normally brought to the surface where they absorb CO2 in their growth cycle, thus interrupting the food chain. Phytoplankton provide food for zooplankton, mostly copepods and krill which form the main diet of many fish. Without krill, without phytoplankton the entire food chain in the ocean will collapse. The Global warming—now at the stage of the Runaway Greenhouse Effect—is causing large areas of permafrost in Alaska, Canada and Siberia to melt. As it melts the organic matter trapped in the permafrost starts to decay and rot. This releases more carbon dioxide and methane (CH4) into the atmosphere. Methane is twelve to twenty times more powerful as a heat trapping gas than CO2. The other heat trapping gases in addition to carbon dioxide are: 1.) methane, 2.) nitrous oxide, 3.) ozone and 4.) halocarbons. The combined warming effect (positive radiative forcing) from these other trace gases is approximately equal to that of CO2. Although small particulate aerosols from the burning of coal (sulfate aerosols) and volcanic dust do the reverse and cool the atmosphere by reflecting heat from the sun they are rather quickly removed from the atmosphere. Even though total emissions of chlorofluorocarbons are quite small compared with emissions of carbon dioxide, their impact is significant since their global warming potential is so large. A rare and previously unreported gas, trifluoromethyl sulfur pentafluoride (SF5CF3), was recently reported. Trifluoromethyl sulfur pentafluoride is long-lived (an atmospheric residence of several hundred to several thousand years) and may have a Global Warming Potential that could be as much as 18,000 times that of CO2! Despite this, carbon dioxide emissions still account for about half of the total Global Warming Potential of emissions from human sources. The Runaway Greenhouse Effect is also affecting Wetlands and forests worldwide contributing to the desiccation of huge peat bogs in Indonesia and elsewhere. The Runaway Greenhouse Effect is responsible for the increased droughts in the Amazon basin and worldwide. This reduces the carbon sink of the rain forests and other vegetation further accelerating the Runaway Greenhouse Effect. The droughts and warmer temperatures have reportedly brought an increasing beetle infestation in Alaska and British Columbia which is killing huge tracts of pine forests. The beetle infestation is poised to cross the Canadian Rockies into the boreal forest which extends east to Newfoundland according to reports in the New York Times, October 4, 2007. It has been calculated that by 2020 all pine trees in Canada will be dead!!! Obviously this provides the basis for increased forest fires. Forest fires are consuming an ever-increasing amount of U.S. forests as we see from the nightly news reports every year. Capitalism is obviously much more concerned with creating new weapons of mass murder and destruction and waging war than solving this kind of problem. The main positive feedback cycle/vicious circle which reduces the carbon sinks remains the ice-reflectivity feedback as explained above and is the primary reason that the CO2 has begun what appears to be the beginning of an exponential increase in the atmosphere according to the October 11, 2004 British Guardian report. (See above) French TV News also recently reported scientists’ observation that the droughts, which have occurred during the summer months for the last several years have substantially decreased the amount of vegetation in France and Europe. Vegetation binds CO2 and removes it from the atmosphere. But the capitalists simply lie about the extent of the disaster or deny it and pretend to go through the motions of dealing with it, because capitalism simply cannot deal with it. Articles are written expressly to disavow the truth and to keep the masses confused, because a confused person cannot act. For example, an article in the New York Times, Nov 2, 2005 entitled: “Climate Study Warns of Warming and Losses of Arctic Tundra,” cites an article in the co-called “The Journal of Climate.” The authors, from the Carnegie Institution and Lawrence Livermore National Laboratory, the leading center for the development of the crazed First-Strike Star Wars weapons systems under Reagan and Bush I and II hide the actual atmospheric CO2 levels and present a deliberately false admittedly “simulated study” where “the CO2 level rises only about 0.45 % a year through 2300,” then the authors falsely “acknowledge” (!?) that value is “slightly less than the current rate, about 0.5 % (! ).” Which is another Big Lie! The objective of this Big Lie is to bury the October 11, 2004 British Guardian report, which documents that for the last 3 years the CO2 in the atmospheric has no longer been increasing additively but is now beginning to increase exponentially! Although the capitalists have reported that 2005 was the hottest year on record since instrumental measurement of temperatures began to be recorded in the 1860’s and are forced to admit that there were more hurricanes (26) in 2005 than in any year since the National Oceanic and Atmospheric Administration began keeping records in the mid 1880’s, they falsely state that it is only “a cycle of frenetic hurricane activity which started a decade ago, and which could last up to 40 years, (? )” with the implication that things will get better after 40 years!? Right! See New York Times, November 11, 2005. The so-called El Nino weather patterns, which are an unusual rise in sea-surface temperatures in the equatorial Pacific Ocean, function as a kind of temperature release valve whereby the heat which winds up in the ocean currents and weather systems is released in increased rainfall across the southern tier of the US and in Peru. Previously El Nino has caused destructive flooding, and drought in the West Pacific and devastating brush fires in Australia. Although the number of El Nino weather patterns has increased with the Global Warming, they have not been able to reduce the water temperature back to normal! An increased number of hurricanes of increasing severity has been the result of this increased ocean temperature which can no longer be reduced through the El Nino temperature release valve. This is a result of the beginning of the Runaway Greenhouse Effect and more confirmation that it has begun! Media-Hyped NASA “Climate Expert” James Hansen is a Government-Controlled False “Opposition” Fraud Who Censors Himself, Covers Up the Reality of the Runaway Greenhouse Effect and Offers Only a Limited and False Solution to Global Warming! In order to create a false framework of reference of protest for the issue of Global Warming, also euphemistically referred to in delicate Orwellian Newspeak as “climate change” (now the Runaway Greenhouse Effect—which U.S. government and its scientists cover up), the capitalists try to control this issue as they do all issues by putting their own personnel out in front of every issue and running their own government-controlled “opposition” figures as supposed “critics” and “skeptics” of the Regime’s policies. But this phony “opposition” never exposes the core truth that the capitalist system is fundamentally incapable of solving this problem or any major problem having to do with human need. Nor does this phony “opposition” present a practical and realistic program for the solution, even in the face of imminent catastrophe, which the overwhelming majority of scientists do agree confronts the human race as well as all life on this planet. The capitalist media have recently tried to pump up one James Hansen, longtime director of NASA’s Goddard Institute of Space Studies, as a supposed “opposition” figure who is being censored by the Bush Regime and “‘threatened with dire consequences’ (!) if he continue(s) to call for prompt action to limit emissions of heat-trapping gases linked to global warming.” (New York Times, February 4, 2006.) The reality is that when such threats appear on the front page of the New York Times, the media flagship for world imperialism, or any other capitalist controlled outlet, you can be quite sure it is to falsely legitimize one of their false “opposition” figures, especially when it is obvious that nothing new is being said. While it is true that the un-elected Bush Tyranny (see below) indeed demanded that Hansen’s public statements be monitored and censored, the undeniable fact is that James Hansen does not have to be censored by anyone because he censors himself as do all “climatologists” from NASA and all other government agencies, colleges and universities, public and private! All of whom realize that to accurately state the acuteness of the problem, its real timeline and its only solution would result in their immediate unemployment, or worse! See below. Even as late as 2001 this opportunist, phony “expert” Hansen, was briefing Richard Cheney on “his findings showing that cleaning up soot, which also warms the atmosphere was an effective and far easier first step than curbing carbon dioxide. (! )” New York Times, January 29, 2006. Right! In 2001, Hansen recommends putting curbing carbon dioxide emissions on the back burner! And nothing about maximum focus on immediately developing alternative energy sources…like Tidal Power! He even produced a whole hour show for PBS NOVA which diverted focus from the Runaway Greenhouse Effect by focusing on the beneficial effect of global air pollution which is “slowing global warming.” Disgusting! Pathetic! Hansen says that censorship by the NASA Public Affairs Office “has prevented the public from fully grasping recent findings about the climate change that point to risks ahead.” Isn’t he daring? At this late date it sounds more like a soft peddling of the Runaway Greenhouse Effect. Hansen is fully aware of the above-mentioned October 11, 2004 report in the British Guardian and its significance! Yet he says nothing about it and continues to conduct “simulated studies of global warming” similar to the fraudulent papers being churned out by the Carnegie Institution and Lawrence Livermore National Laboratory in The Journal of Climate. See above. Previously, James Hansen has only spoken about: “the long term threat from heat trapping emissions.” Only recently, since last December 2005, according to the above Times article, does Hansen complain about “clear cut dangers from further delay in curbing carbon dioxide.” “Clear cut dangers?” Tell us something everyone doesn’t already know, James! The Runaway Greenhouse Effect is NEVER mentioned even after the British Guardian report. The most that James Hansen will say is: “without leadership by the United States (?! ), climate change (will) eventually leave the earth ‘a different planet.’” (New York Times, January 29, 2006.) “A different planet?” What a muddle, what a fuzz-job and cover-up! At a symposium at the Albany Law School on April 18, 2006 reported on in the Sierra Atlantic, Vol. 33 Summer 2006, Hansen under pressure of decreasing credibility now goes so far as to say that “the Global Warming Tipping Point is near” (Such euphemism! ), which he says will only occur “in the next several years.” He puts it off into the future! Hansen concludes with the Big Lie: “The public, if well informed, has the ability to override the influence of special interests. We need to think again (!) about posterity.” It is very obvious that Hansen’s assignment is to try to control the issue and keep the opposition within the fold of capitalism. He deliberately omits to say that it is capitalism, which has created the problem of the Runaway Greenhouse Effect in the first place, because it is based on private profit not human need and because the oil industry and military industrial are the main forces controlling the capitalist economy and that only a worldwide system based on human need not private profit can possibly reverse the Runaway Greenhouse Effect by reversing the process through the systematic approach described above. This is not rocket science! The media have reported for years that the North Polar icecap has already almost completely disappeared (!). (See above.) The 2 Greenland glaciers’ melting rate has doubled in the last 5 years to 21.6 cubic miles a year. The Western Antarctic Ice Shelf is also both breaking up and melting at a rate of up to 37 cubic miles, or more precisely at a rate of 152 cubic kilometers of ice, a year (!) as is the Permafrost, etc. Complete melting of the Greenland glaciers alone has been calculated to raise the ocean levels by 23 feet! Complete melting of the Western Antarctic ice would raise sea levels by the same amount. Complete melting of all the Greenland and Antarctic land–based ice sheets would raise sea level 80 meters or 262.46 feet, whereas melting of all other glaciers could lead to a sea-level rise of only one-half meter! (See http://pubs.usgs.gov/fs/fs2-00/) It should be understood that once an ice sheet starts to disintegrate, it can reach a tipping point beyond which break-up is explosively rapid. Life may very well become unlivable well before that! No life will exist by the time the ocean levels finally start to decrease due to the evaporation and finally boiling away of all the oceans into the atmosphere! This is the message of the Runaway Greenhouse Effect! To Lead those Opposed to Global Warming to Defeat! The reason the capitalists gave Al Gore the Nobel Peace Prize was to give him maximum credibility and officially put him in front of the movement to stop and reverse global warming in order that he would be the best position to monitor and pace that movement and lead it to a dead end and defeat. It should be noted that Henry Kissinger was also given the Nobel Peace Prize in order to try to legitimize that mass murderer in the face of the fact that he and Richard Nixon, for the first 6 years, prosecuted the Vietnam War for 8 years, which killed over 2 million Vietnamese people. The film “An Inconvenient Truth” commissioned by Al Gore was designed to try to control the issue while covering up 1.) the central fact that the Runaway Greenhouse Effect has already begun and, of course, to keep the viewer believing the Big Lie that capitalism can be reformed and the situation can be reversed without a Socialist Revolution in the United States. This is also the truth that is covered up by such phony “opposition” “ad hoc” groups such as “The Turning Point,” which itself is an amalgam of 21 reformist single-issue, anti-Communist groups “environmental groups,” which takes out full-page $50,000.00 dollar ads in the New York Times and issues a litany of go-nowhere complaints that everyone already knows, while they pathetically offer a laundry list of ridiculous reform measures to the capitalists-imperialists, which they falsely claim “might avert disaster.” When they know that to be a Big Lie! It’s totally bizarre! “The Turning Point’s” purpose is also to cover up the fact that the Runaway Greenhouse Effect has already begun while it covers up its significance for the end of all life on Earth. They represent an obstacle to any genuine solution–not an aid because they suppress the fact that a Socialist Revolution is the precondition for genuine social-political-economic change! Capitalism is the Titanic, which is going DOWN. We can not permit ourselves to stand around like irresponsible little children or political Zombies and submit to the beginning of the destruction of all life on Earth, very possibly in our lifetimes, not centuries in the future as the capitalists and the phony “opposition” would like people to falsely believe! We do not have to accept such an outcome! We have to begin to act immediately to call for and to begin to organize a new economic-political-social system based on human need not private profit, meaning we must begin to call for and organize a Socialist Revolution here in the United States. We must reject and expose the U.S. government’s anti-Communist brainwash, which is based on every conceivable lie and distortion and division on every illegitimate basis in order to cover up the only valid basis of division which is the basis of all capitalist exploitation and super-exploitation—the class basis. As mentioned, anti-Communism has as much basis in truth as the capitalists’ claim that there were weapons of mass destruction in Iraq. Anti-Communism is just one Big Lie, which has been allowed to take on a life of its own due primarily to the fact that the government runs its own opposition, as well as the media and the educational system, as well as all of the fake “left.” Anti-Communism has presently disarmed, demoralized and divided and atomized the masses to the state where those who are seriously opposed to virtually all of the policies of capitalism falsely feel that they are powerless and cannot and dare not challenge the capitalist dictatorship itself. But Socialist Revolution has already occurred elsewhere. Careful analysis of why and how a Socialist Revolution took place in Russia will insure success in the United States! The Pre-Condition for a Socialist Revolution in the U.S., as it was in Russia in 1917, is mutiny in the armed forces! The capitalists must be deprived of the ability to send bodies of armed men against the masses. State power must be taken out of the hands of the capitalist class for there to even be a basis to freely discuss and implement solutions to the complex of problems created by capitalism! It should be obvious to most people at this late stage that capitalism has become a dead end. All economic-political-social systems based on forms of slavery have a beginning and an end. This was true of chattel slavery, which had a beginning and an end. It was also true of feudalism, which had a beginning and an end. It is also true of capitalism (wage slavery), which had a beginning and which also will have an end. But we have to bring capitalism to an end through a Socialist Revolution, not by allowing capitalism to follow its own internal dynamic to its own natural end in Fascism, because that will mean the destruction of all life on the Earth e.g. the Runaway Greenhouse Effect has begun! The negatives of capitalism have indeed outweighed the positives for a long time. It’s time to speak openly about this and to begin to discuss the technical aspects of removing the capitalists from state power as we organize a Socialist Revolution here in the United States! This must be our primary focus. Capitalism is a failure. Capitalism offers a World with no future! The basis of anti-Communism and how to defeat it is explained further below. Perhaps if you had spent more time in college studying physics rather than learning to blame America and capitalism for all the world’s troubles, you might make a rational argument. Pt 1. Global warming is a complete and total fabrication to promote the socialist agenda. Who says so? East Anglia university… the very people who came up with the original theory. Pt 2. No serious person thinks using grain to make ethanol is a viable solution to energy. The real action is growing algae in areas which are otherwise unsuitable for agriculture. Pt 3. As far as starving people of color in third world nations, the United States spends billions of dollars every year on food, medical aid and warlord suppression. If the thanks we get is your type of moronic accusations of racism… I am all for leaving the third world to their own misery. Now that being said, who’s the real racist here? It isn’t me. Wow Bill, you really feel like being mad at someone don’t you? This was written quite awhile ago, and rereading it now, I have to wonder what exactly in this piece sparked such vitriol from you? Instead of the canned “you’re a socialist and hate America” BS, try something a bit more nuanced, if you can. Like actually responding to what is said. Show us you can think. Good job Bill of summing all that crap up in just a few common sense comments. The long drawn out desertation of Anti-Americanism is just smoke and mirrors for a Socialistic agenda that no one wants. Africa and Asia only want to blame us for all their woes while we feed, educate, and bring them to the 21st century. If all is so good their, cut them off and move on. It still baffles me why Bill or anyone responds to this article with such vitriol and and accusations of “anti-Americanism” and “hidden socialist agendas”. By all means, be pissed-off if you want, but the comments don’t seem to relate to what is said in the post. It makes me wonder if Bill and Mike even read it. Oh wait, I’ve just reread some of the comments. Never mind. Carry on. THINKING OUT OF THE BOX FOR AMERICA & THE WORLD ! ! After doing a lot of research on global soil, air and water contamination and reading James Lovelock’s ideas. I believe that I MAY have some very viable solutions to offer in regards to Global Warming that may help the world slow it down and possibly stop further damage, but we will have to act now and it will take Global Team Work to incorporate my ideas immediately to help us. This is my idea and I am going to try and contact James Lovelock to confirm how viable my idea is. I am submitting my idea now even if it needs work because we need to work on this problem 24 hrs a day !! We can start today to incorporate our plankton farms using our current fish hatcheries immediately, fish will love it and it is a win win idea, bigger healthier fish as well ! ! Mix Plankton, Ilmenite soil, Peridotite soil (both of these unique soils clean up contamination naturally) and the proper fertilizers into our contaminated land, this will clean up the soil and produce the best farming conditions as well as adding clean air to our environment in every way, and as a bonus Boost the economy by adding more jobs. Why this would work ?? Common Sense, the more above ground Plankton farms the more Clean oxygen to the atmosphere. Thank You, Respectfully, Always Striving To Be Part Of The Solution Using Respect, Common Sense & Americandoo As My Guidelines To Follow At All Times.. Oxygen and Toxins that are killing our fish and more ! ! ! MY IDEAS ARE LISTED BELOW AND IT’S TIME TO TAKE A SERIOUS LOOK AT THESE IDEAS !
! ! ! PAST TIME..THE CLOCK IS TICKING.. Global Team Work to incorporate my ideas immediately to help us. This is my idea because we need to work on this problem 24 hrs a day. environment in every way and as a bonus Boost the economy by adding more jobs. Why this would work ?? LEVELS IN THIS AREA ! ! ! To Our Oceans, Lakes, Reservoirs & Canals ! ! Lakes, Canal & Reservoir Aerators. crank up the air pressure. Compressors On Board ! ! Are Already Built ! ! I KNOW WORKS BECAUSE I HAVE BUILT AND USED THESE UNITS ! ! Thank You, Respectfully, Michael V. Caldwell… Hope my ideas help and can be added to your with your ideas…. Worlds Largest Futuristic Fair, Landed on the Moon etc. Countries CUTTING EDGE TECHNOLOGY and BEYOND ALL OTHERS ! ! raised high looking Up at the sky. on a True Story with the help of A TEAM OF BIG MONEY INVESTORS ! ! ! American Inventor/Dreamer..Dream Big..Do Big ! ! !